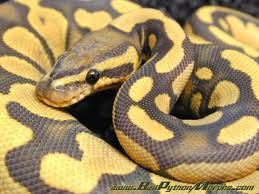 We want to get a ball python sooooo bad. We spent a good 45 minutes at petsmart today and talked to this reptile expert pretty much lol about lots of different kinds of snakes. We were always thinking a ball python, and still think that thats what we'll go with. I think a blood python (pretty much the same thing but, go figure, with red coloring) would be cool too. Evan doesnt want a species that gets TOO big, and these pythons only get 4-6 feet, usually closer to 4, (vs most boas which get 8-10 ft) so thats what we're planning on :] We're thinking of getting that as both of our Christmas presents...we will seeee! Anyway, just wanted to share that. However! the topic I planned is actually: nutrition. This is, of course, a rant of my thoughts. Its pretty interesting how obvious the conclusion is: You buy crappy food, you get fat. You look fat, there's a good chance you have crappy food in that cart of yours. I feel that there are definitely different levels of healthy eating. However, in my opinion, there is no excuse to drink soda. It really grosses me out how normal it is to drink that crap; it seems that very select few people dont. Same goes for hydrogenated oils, but given how its in just about every packaged food, just about everybody eats those as well. Evan's Exercise Science teacher said that he thinks foods like Hostess, Little Debbies, donuts, oreos, etc. should be taxed the same way tobacco is. I AGREE. Isn't it amazing that in that today we have sooo much more knowledge concerning diabetes and obesity than we did 10 years ago, yet we are even fatter now than we were then. Its quite pathetic. I don't eat sugar, so that excludes lots and lots of different foods. But thats a pretty big decision, and not always the easiest, (though it is, actually, quite a bit easier than I anticipated) and I would never really expect everyone to do that. I think the worst part of my diet is eating out with Evan. I *try* to get healthier stuff....but I know too much about restaurants to actually convince myself that ANYTHING they serve is actually "healthy". So, I work at Taco Bell, and something that I have recently thought about that really, REALLY disgusts me: The crap that people feed their KIDS. People will come and buy their kids a "cheese roll kids meal". This consists of: a 6.5" white tortilla with cheese (not even 100% cheese) melted onto it, cinnamon twists, (deep fried puffs with cinnamon and sugar sprinkled on them) and a drink, which is MOST often rootbeer or sierra mist, but even if its not carbonated, its pure sugar-zero juice pink lemonade or fruit punch. and THIS is what they are feeding a CHILD, up to 8 or 9 but sometimes as young as 2. And this is one of their main meals. Really? A TWO YEAR OLD? who is growing constantly and needs absolutely every vitamin and mineral you can convince them to eat? and you're giving them that crap...oh it pisses me off. Anyway, not much point to this post...just some of my thoughts. I will (hopefully) start posting more often with actual worthwhile subject matter. Yeah, I had SUCH a hard time with that while in Rexburg. It's just so hard, because be honest about it, the healthy stuff IS more expensive (I think the hostess tax should go to subsidize produce. Sounds good, right?) It's ridiculous that you can get a "meal" for the entire family at taco bell for cheaper than you could make one at home (okay, so the last time I shopped in Rexburg was during the winter, so my memory is a little skewed). Anyway, I've been making an extra effort lately to feed my children (and by extension, myself) better, so it's funny that you post about this. And a python...COOL!!! I want a chinchilla so bad. lol I think I'll wait until my kids are older for reptiles. I need a time of day for your baby guess. Also, I vote no on the python. They are smelly and there is a considerable lack of cluddly fur.